History researcher says that it’s a mostly plagiarized guide to women’s health. 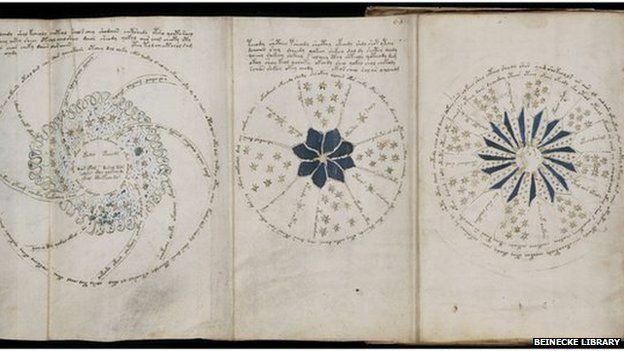 Since its discovery in 1912, the 15th century Voynich Manuscript has been a mystery and a cult phenomenon. Full of handwriting in an unknown language or code, the book is heavily illustrated with weird pictures of alien plants, naked women, strange objects, and zodiac symbols. Now, history researcher and television writer Nicholas Gibbs appears to have cracked the code, discovering that the book is actually a guide to women’s health that’s mostly plagiarized from other guides of the era. Gibbs writes in the Times Literary Supplement that he was commissioned by a television network to analyze the Voynich Manuscript three years ago. Because the manuscript has been entirely digitized by Yale’s Beinecke Library, he could see tiny details in each page and pore over them at his leisure. His experience with medieval Latin and familiarity with ancient medical guides allowed him to uncover the first clues. After looking at the so-called code for a while, Gibbs realized he was seeing a common form of medieval Latin abbreviations, often used in medical treatises about herbs. “From the herbarium incorporated into the Voynich manuscript, a standard pattern of abbreviations and ligatures emerged from each plant entry,” he wrote. “The abbreviations correspond to the standard pattern of words used in the Herbarium Apuleius Platonicus – aq = aqua (water), dq = decoque / decoctio (decoction), con = confundo (mix), ris = radacis / radix (root), s aiij = seminis ana iij (3 grains each), etc.” So this wasn’t a code at all; it was just shorthand. The text would have been very familiar to anyone at the time who was interested in medicine. 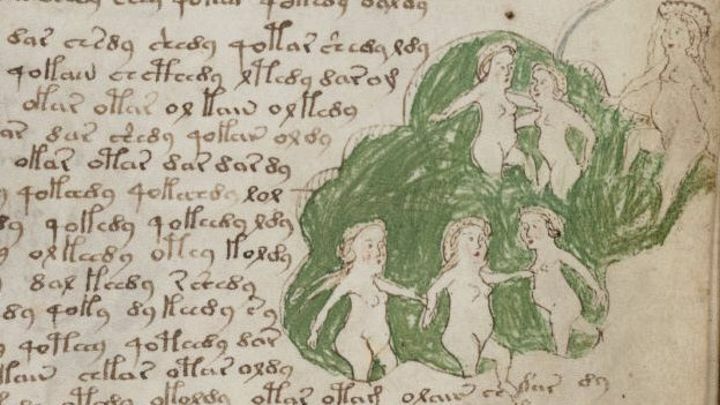 The mysterious medieval Voynich Manuscript is probably a women’s 0health manual, according to history researcher Nicholas Gibbs. There are countless images of bathing women in the book because medieval and ancient physicians believed baths were the cure for many ills. A lot of the book focuses on how to make medicines from herbs, and there are a number of pictures illustrating medicinal plants. Further study of the herbs and images in the book reminded Gibbs of other Latin medical texts. When he consulted the Trotula and De Balneis Puteolanis, two commonly copied medieval Latin medical books, he realized that a lot of the Voynich Manuscript’s text and images had been plagiarized directly from them (they, in turn, were copied in part from ancient Latin texts by Galen, Pliny, and Hippocrates). During the Middle Ages, it was very common for scribes to reproduce older texts to preserve the knowledge in them. There were no formal rules about copyright and authorship, and indeed books were extremely rare, so nobody complained. 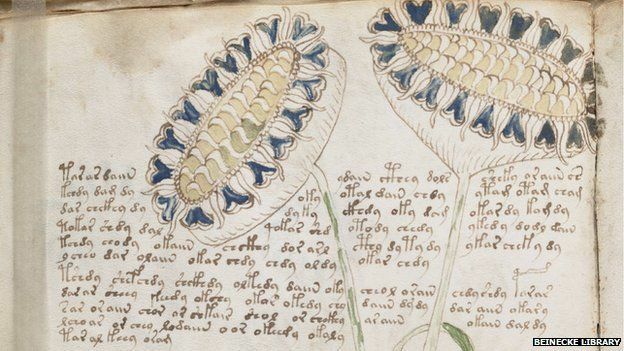 The Voynich Manuscript has been reliably dated to mere decades before the invention of the printing press, so it’s likely that its peculiar blend of plagiarism and curation was a dying format. Once people could just reproduce several copies of the original Trotula or De Balneis Puteolanis on a printing press, there would have been no need for scribes to painstakingly collate its information into a new, handwritten volume. Gibbs concluded that it’s likely the Voynich Manuscript was a customized book, possibly created for one person, devoted mostly to women’s medicine. Other medieval Latin scholars will certainly want to weigh in, but the sheer mundanity of Gibbs’ discovery makes it sound plausible. See for yourself! You can look at pages from the Voynich Manuscript here.